There’s so much more to see. With an ultra-wide-angle view that surpasses any kit lens, the AF-P DX NIKKOR 10-20mm f/4.5-5.6G VR lets you play with composition in a new way—foreground, middle ground, background, symmetry, patterns, lines, dramatic skies and more. Get as close as 0.8 feet from your subject to create photos and videos with dramatic leading lines or to capture tight interior spaces with ease. A lens with a curved, non-spherical surface. Used to reduce aberrations and enable a more compact lens size. Aspherical lenses minimize coma and other types of lens aberrations, even when used at the widest aperture. They are particularly useful in correcting distortion in wide-angle lenses and help contribute to a lighter, more compact design by reducing the number of standard (spherical) elements necessary. Aspherical lens elements correct these distortions by continuously changing the refractive index from the center of the lens. 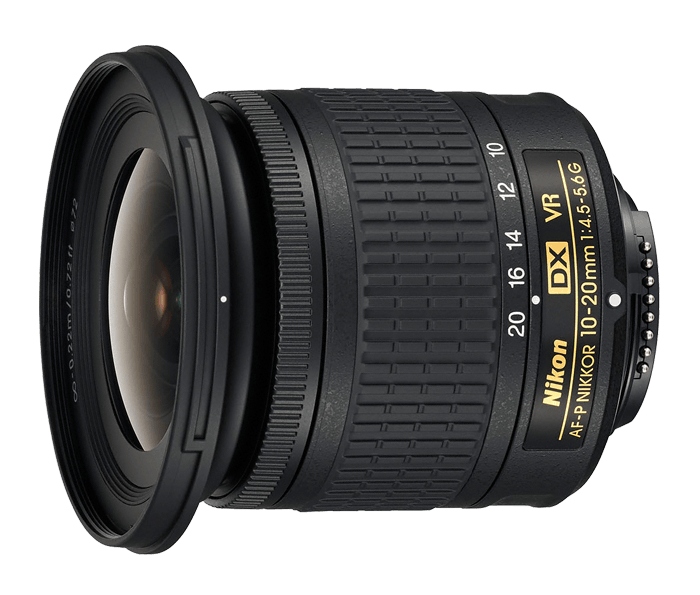 For more information, view the Nikon Lens Compatibility Chart.